There are scientific books that claim to have all the answers and there are theological works that try to define the mysteries of God with great clarity. Rare are the books that combine an accessible entry point for a layperson into the realms of both science and faith. 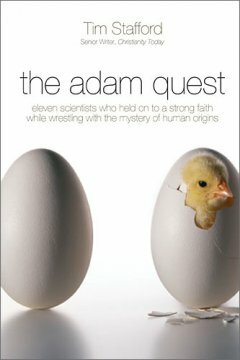 Tim Stafford’s “The Adam Quest” is one of those rare finds. Stafford’s work is a compilation of interviews from many great scientific minds into one intriguing book that wrestles with the questions of human origins and faith. Stafford compiles interviews from three camps within the Christian scientific community: young earth creationists, intelligent design creationists, and evolutionary creationists. Drawing on their lifework, the scientists lay out a case for their beliefs with vigor and humility. One of the strongest points to this book is that Stafford lets the scientists speak for themselves, drawing out strengths and weaknesses from their professed beliefs. While the author addresses his own beliefs in the conclusion section to the book, he does a decent job of staying out of the arguments within each chapter. The research and thought of each scientist comes out more often than the opinion of Stafford. With the exception of the author’s conclusion, the body of the book lets the reader decide where they stand on the issue. The evidence given by each scientist (and one theologian) leaves the reader with a lot to think about in a good way. The book does not tell you what to believe, instead it confronts the reader to think through their position. I have been searching for a layperson’s book on science and faith for a while that is both intriguing and also accessible. I do think I have found the right book. This book fills a much needed hole that brings together three large views within American Christianity and it is handled with much charity and grace. This book would be ideal as a gift to others who are wrestling with this topic because it demonstrates that one can be faithful to God’s Word and also be rooted in science. I recommend this book to those who want a diverse sketch of how Christians with the scientific community thrive in their faith. Have you read any good books on this topic? I may have to add this to my reading list for the summer. It definitely looks interesting! 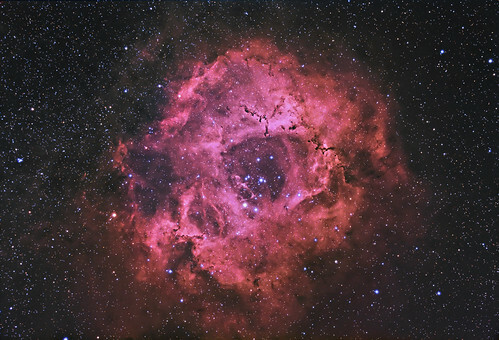 And one website I’ve found incredibly helpful and interesting is Biologos. They definitely fall directly in the evolutionary creation camp, but they do a really good job of integrating science and faith. That is an excellent site, Falk was one of the scientists interviewed in the book. I find myself somewhere in between Intelligent Design and Evolutionary Creation. You would enjoy this book, Jesse. Very thought provoking! I’ve added it to my book recommendation pile. Yeah, I think I fall somewhere along the same path, and actually possibly even closer to Evolutionary Creationism. But that could be due to my anthropological studies haha. Thanks again for the recommendation though. I definitely can’t wait until my semester’s over and I can dig into all these books I want to read!